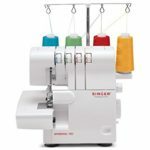 If you’re taking up sewing for the first time or thinking about buying your first sewing machine, then you’ve come to the right place. We understand your eagerness. As a beginner, however, there will be some features that you will need more than others. In all our top five picks below, you will see what makes them stand out as the best sewing machines for beginners. What should a beginner look for in a sewing machine? It must be simple enough to operate. 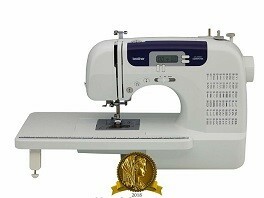 The best sewing machine for beginners is one that allows the user to enjoy the whole process of sewing. The machine must not sidetrack the learner with complex adjustments and settings. It must have the stitches that you need. Beginners mostly need around 3-4 basic stitches. So the basic plus a few decorative stitches would be more than enough when you’re starting out. In other words, there’s really no reason to spend more on a machine that’s loaded with hundreds of stitches. It has automatic features. Sewing is so much an easier hobby to learn today than it was before. It’s now possible with modern models that come with automatic features. Some of these automatic functions are automatic buttonholers, bobbin winders, and automatic threaders. Each of our top five picks below highlight these features. There’s no doubt that Singer 1304 Start was designed with beginners in mind. It has six built-in stitches, namely – straight, satin, scallop, blind hem, zigzag, and 4-step automatic buttonhole. Selecting the stitches is as easy as a few clicks with the printed stitch illustrations on the dial. Stitch lengths and widths are preset. Threading this machine is easy and quick, and its automatic bobbin winder is a real time-saver. Dual spool pins make parallel stitching a breeze. It has automatic tensioning, which is good news for newbies. Adjusting thread tension can be a daunting starter. There are three presser feet which you can change by simply snapping on and off. Its free arm makes sewing sleeves and collars so much easier. It has no speed knob, though, and that can be an issue since its top speed is 750 stitches per minute, which is fast. What it has is a foot pedal, so you’d have to learn to control the speed with that. You’d love bringing Singer 1304 to class or on your travel because it is lightweight and portable even with its metal frame. 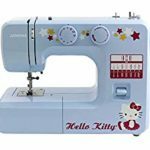 Overall, we find it a user-friendly entry-level sewing machine which you can grow with as you learn more about your trade or hobby. Brother XM2701 combines versatility and simplicity. It’s the perfect choice especially if you need your sewing machine to be portable as well. Learning to run it for the first time is pretty straightforward. Users who used to be clueless about bobbins or presser feet started creating decent-looking stitches in less than 30 minutes. It has 27 built-in stitches which you select from a dial. It also has an automatic needle threader which works at the touch of a lever. There are 6 presser feet for six different functions. With the appropriate presser foot, you will be able to sew buttons and do auto-sized buttonholes in one step. Like Singer 1304, you control its speed (which is 800 stitches per minute, maximum) using a pedal. The three dials on the top part are for adjusting tension, stitch width, and stitch length. It’s also equipped with an automatic bobbin winder and a drop-in bobbin system which take the hassle out of setting up the bobbin and keeping it jam-free. These features will significantly improve your sewing experience no doubt. Thus we say that as a beginner’s first sewing equipment, Brother XM2701 is packed with more than just the basics. 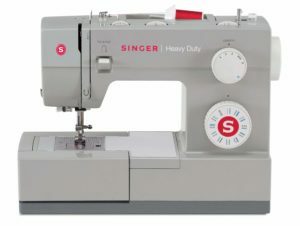 Singer Heavy Duty 4423 comes with 23 built-in stitches, four presser feet, an automatic needle threader, and a drop-in bobbin system. Buttonholing is a dream with its automatic 1-step feature. Stitch length and width are set at 6 mm but are adjustable. Whether you’re looking for entry-level or intermediate sewing equipment, this model will be more than adequate. It is built on a metal frame and ran by a heavy-duty motor which allows you to sew at 1,100 stitches per minute. Like the first two machines, speed is controlled by its pedal. If you want strong and detailed stitches on your quilts and patchwork, then this solid sewing machine is your guy. It works on a wide variety of fabrics including delicate muslins and layered vinyl fabric. You won’t find its motor struggling on the job because that’s what it’s made for. Singer 4423 is tough, fast, and relatively quiet. So far we’ve presented you with mechanical sewing machines. Now let’s take a look at Brother CS6000i which is computerized. What’s its edge over the other considering that it costs twice more than Brother XM2701? For one, it has 60 built-in stitches, which includes 7 styles of one-step buttonholes. It comes with 9 presser feet and several accessory tools. You will turn your quilt-making project into a quick and easy one with the appropriate presser foot. For a beginner, however, the impressive number of stitches is not the all-important aspect. What makes Brother CS6000i a strong contender in our top 5 choices is the convenience that its automatic features offer. The stitch selection shows on an LCD display. You may adjust the stitch length and width with a few presses on the button. It has an automatic needle threader, a built-in free arm, and a detachable working table for large projects. Speed adjustment, too, is simplified using a control lever. 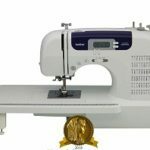 This feature alone is priceless especially to a novice, and definitely one of the reasons for choosing a computerized sewing machine. Operating it is mostly trouble-free and not at all intimidating. 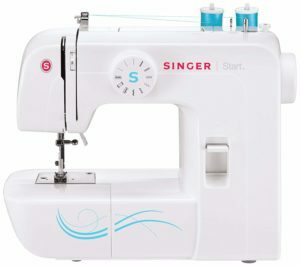 Singer 7258 is another computerized sewing machine. It has 100 stitches to it, including 7 fully automatic 1-step buttonholes. Most of the features we’ve mentioned about the other products, such as the automatic needle threader, jam-free top-loading bobbin, and automatic bobbin winder, can also be found in this this model. Like Brother CS6000i sewing machine, it also has automatic tensioning, an electronic speed control, a removable free arm, and an LCD display for stitch selection and size adjustment. 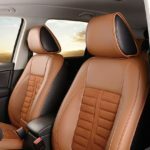 Aside from these, however, it has unique features which we’d like to highlight. First, its needle can be programmed to stop either in the up or down position. If you do applique and quilts, you’d want to end a stitch with the thread down. Second, its bobbin winder has an auto-stop feature which prevents overfilling. Other nifty features include auto reverse which secures the start and end of stitches and automatic tie-off for straight stitches. You will not only learn and love to sew with Singer 7258; you will also gain more confidence with each project you complete. 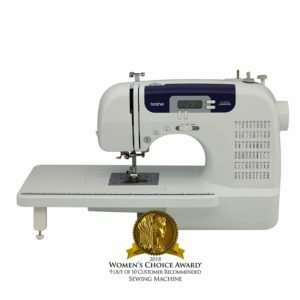 Whether you lean towards mechanical or computerized sewing machines, it’s important for you to choose a model based on the features that are most useful to you. As a beginner, you would need one that facilitates basic functions like tensioning, bobbin adjustment, and speed control. The type of projects that you’re interested in will be a major determining factor. 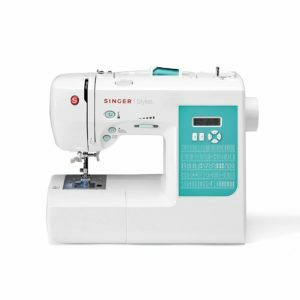 If you do mostly straight sewing, then Singer 1304 or Brother XM2701 will be excellent choices. If you mean to work on denim or multiple-layered projects, then Singer 4423 will be more like it. 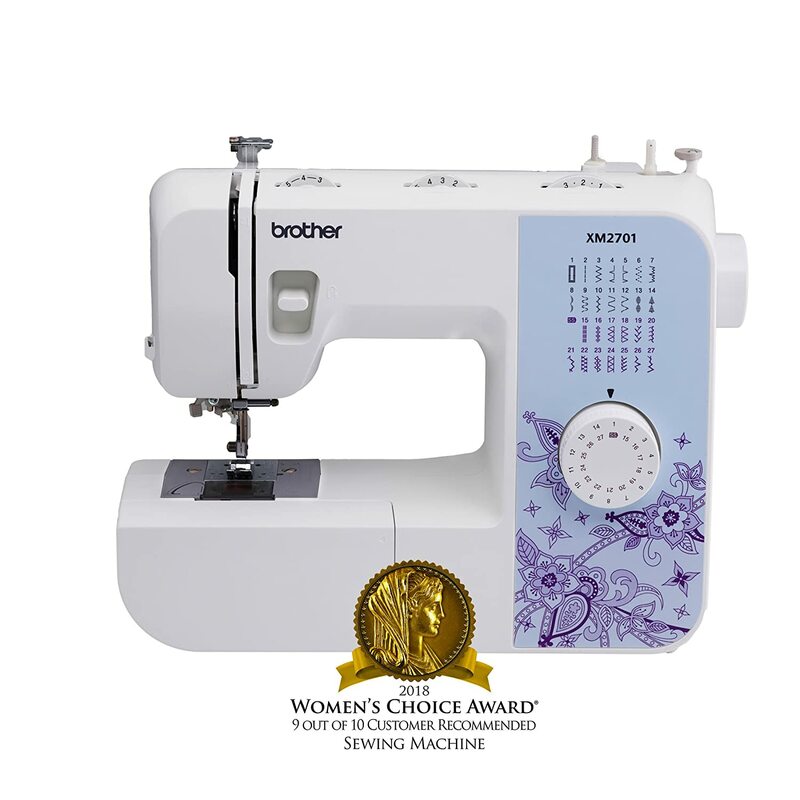 If you’re more into appliques or quilts, then the best sewing machine for beginners like you would either be Brother CS6000i or Singer 7258.